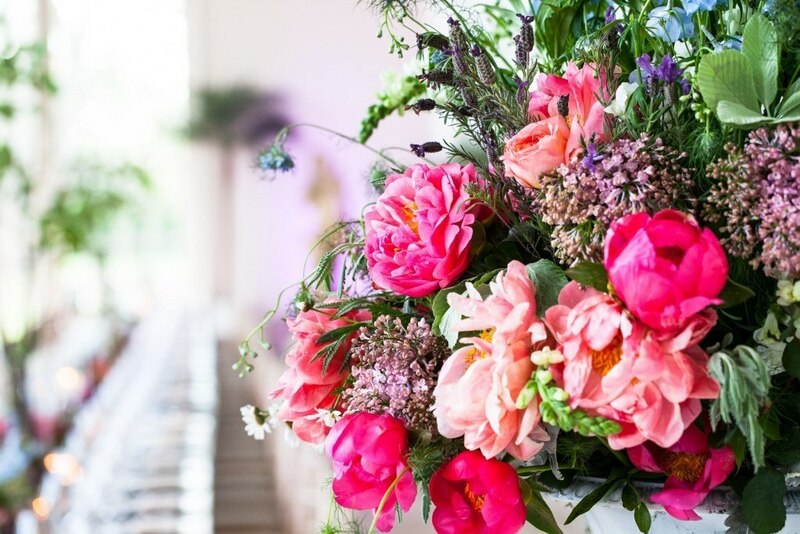 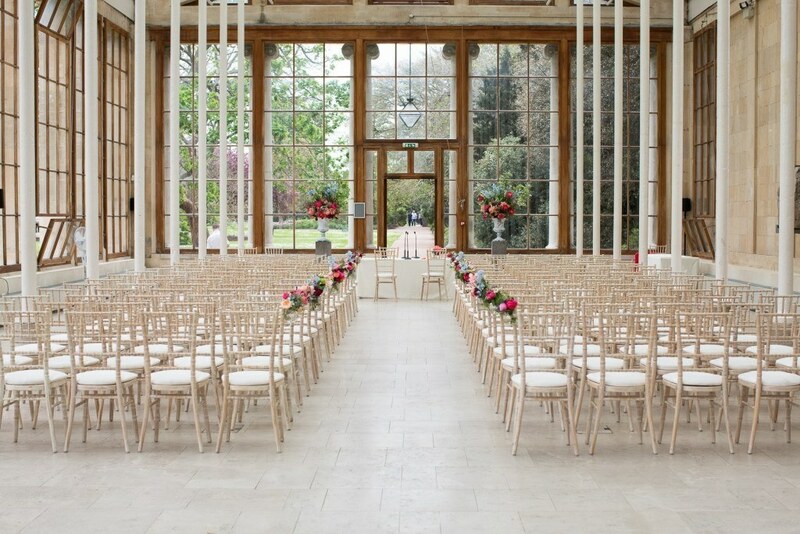 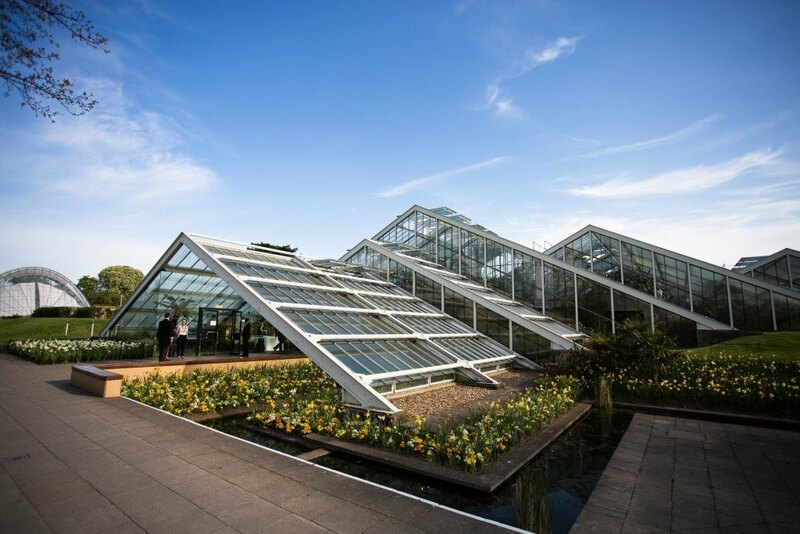 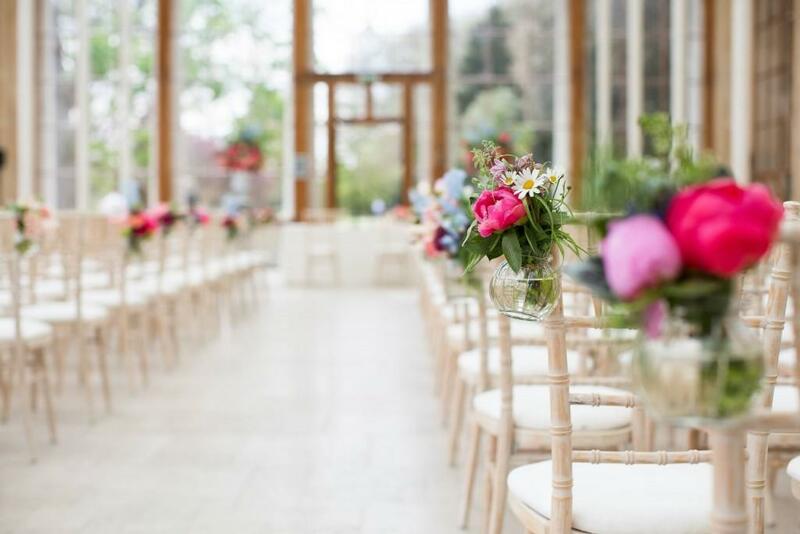 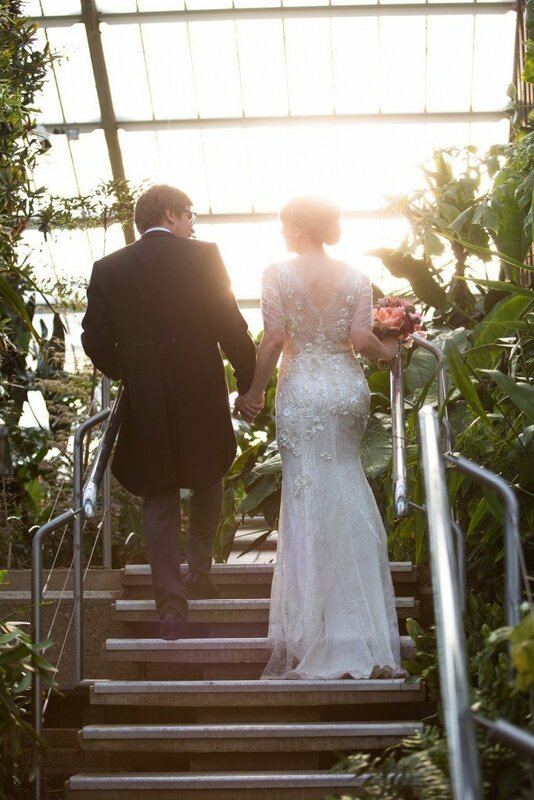 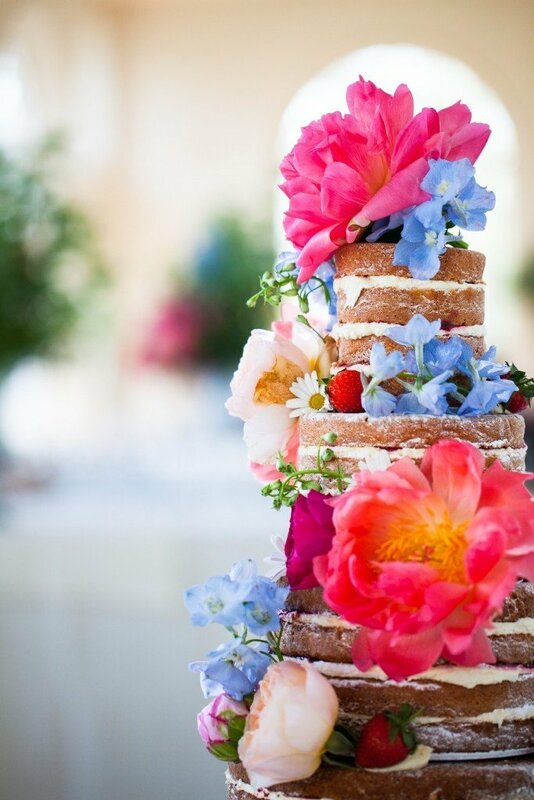 Kew Gardens hosted a recent spring wedding, with catering from the Create team. 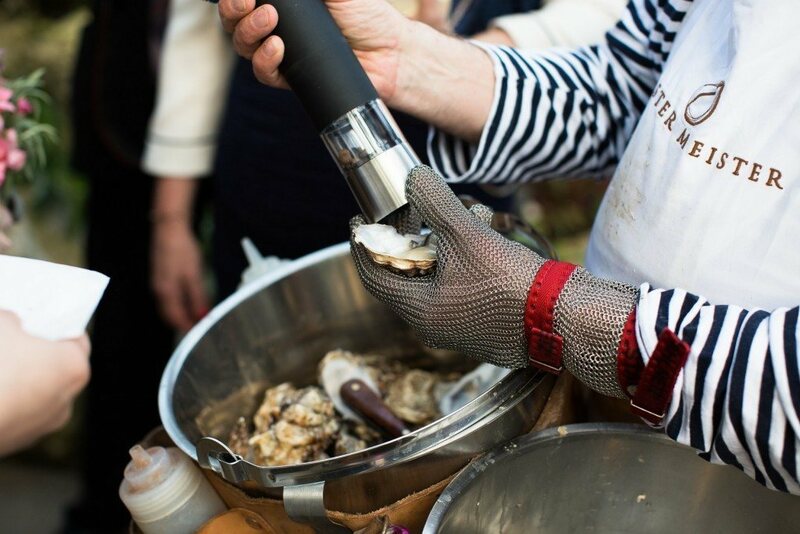 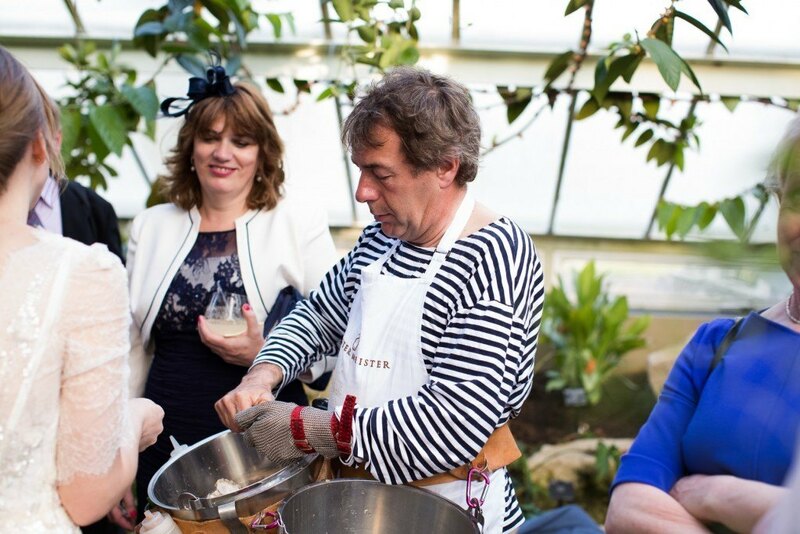 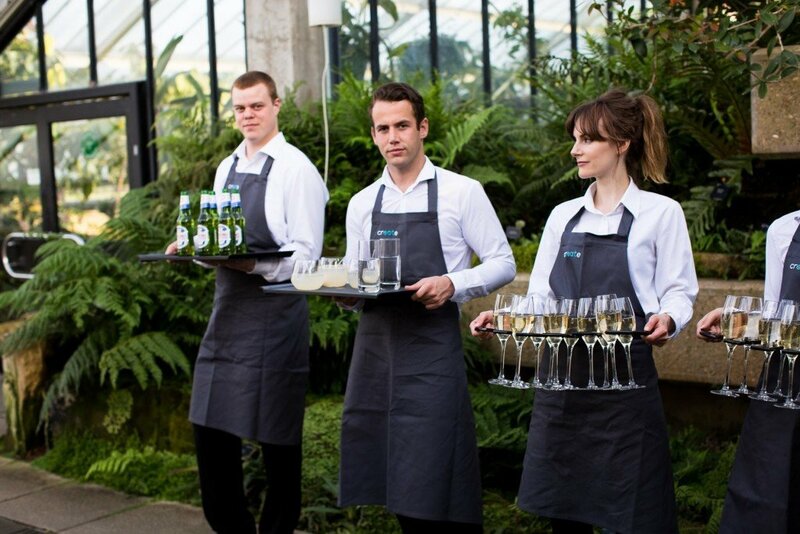 Following a wedding ceremony in The Nash, guests enjoyed a sparkling wine reception on the lawn, before moving to the Princess of Wales Conservatory to continue the celebrations with fresh oysters from Oyster Meister. 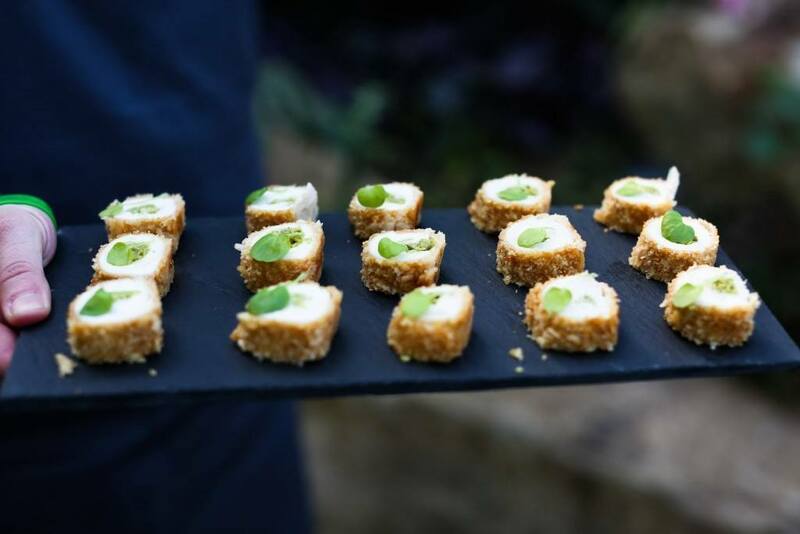 The wedding breakfast began with canapés of pulled pork croquette with smoked salad cream and watercress, lemon thyme chicken kiev with pea and whipped pecorino with baby watercress, blackened Atlantic cod with miso mushrooms a la grecque, lemon gel, twice-baked crab soufflé with sauce vierge and basil cress and stuffed gnocchi with goat’s cheese, caramelised onion, walnut granola. 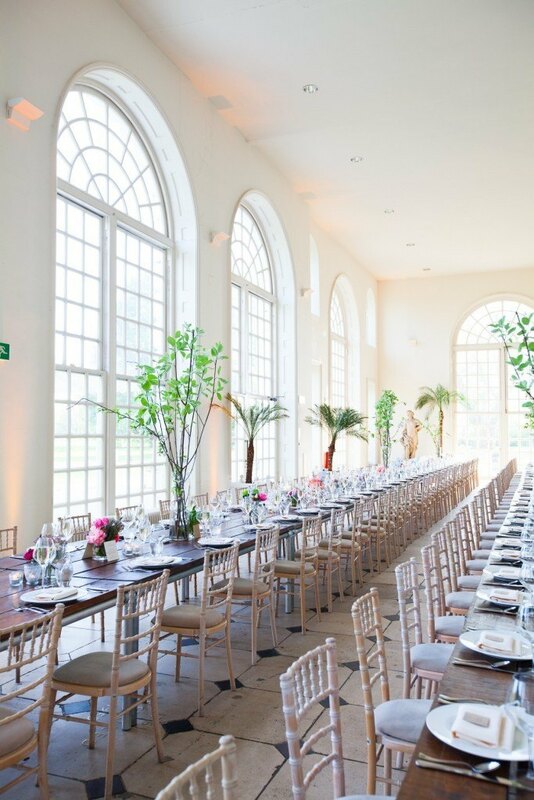 Dinner was served in the stunning Orangery; guests enjoyed a two course banquet, served family style. 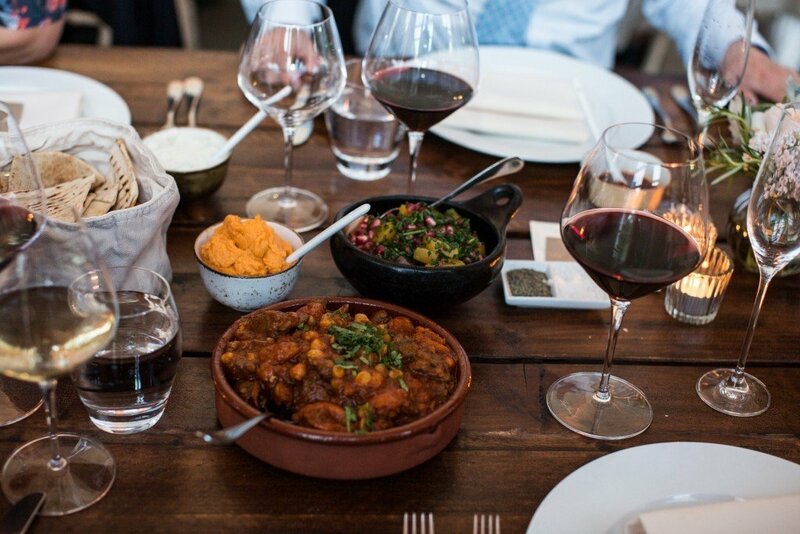 Shredded lamb was served on wooden boards, with an eclectic selection of rustic and white bowls for accompaniments and sides. 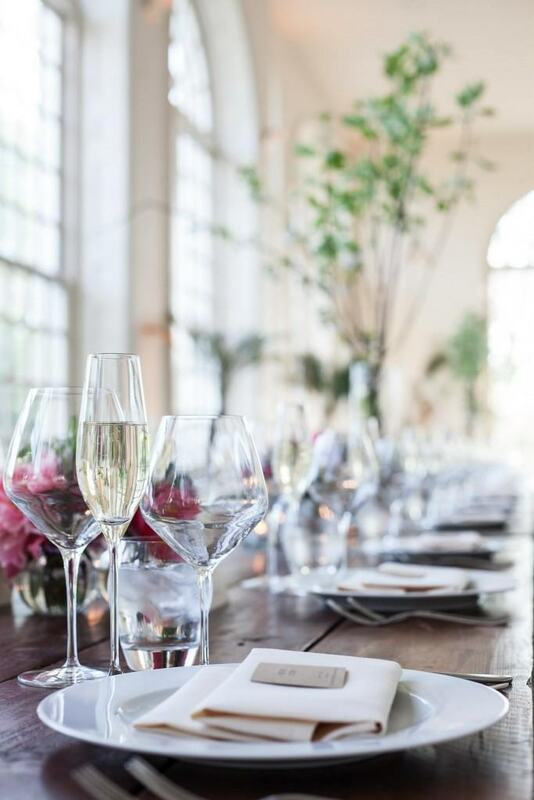 The rustic boards were garnished with sprigs of fresh herbs, char-grilled onions and roasted garlic. 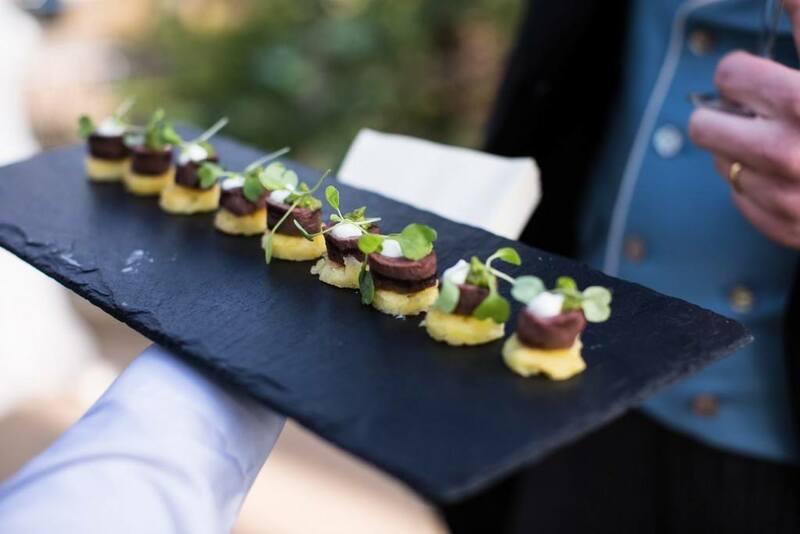 There was also a vegetarian option of BBQ smoked aubergine, with pomegranate molasses. 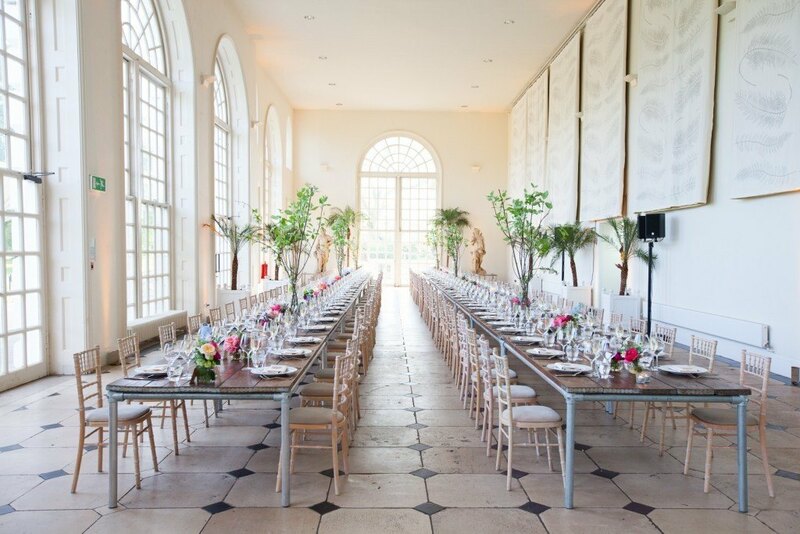 For dessert, guests enjoyed a traditional sticky toffee pudding, with rich toffee sauce and vanilla ice cream, as well as tea, coffee and petit fours. 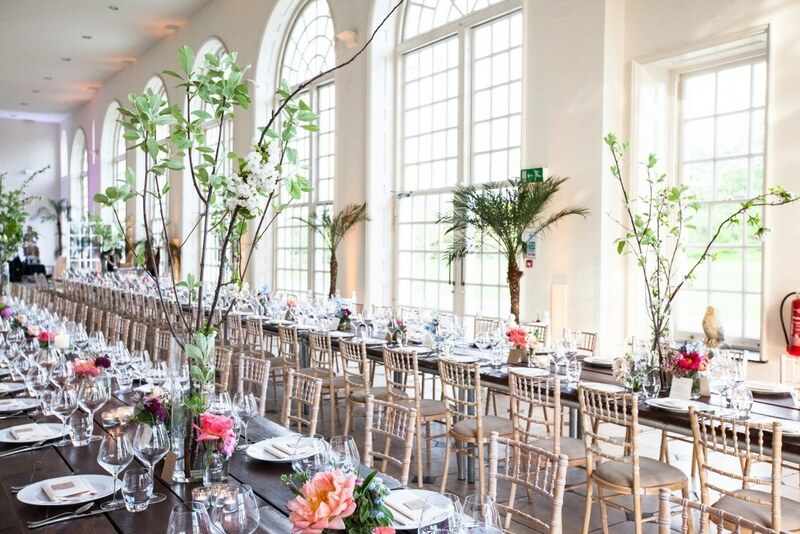 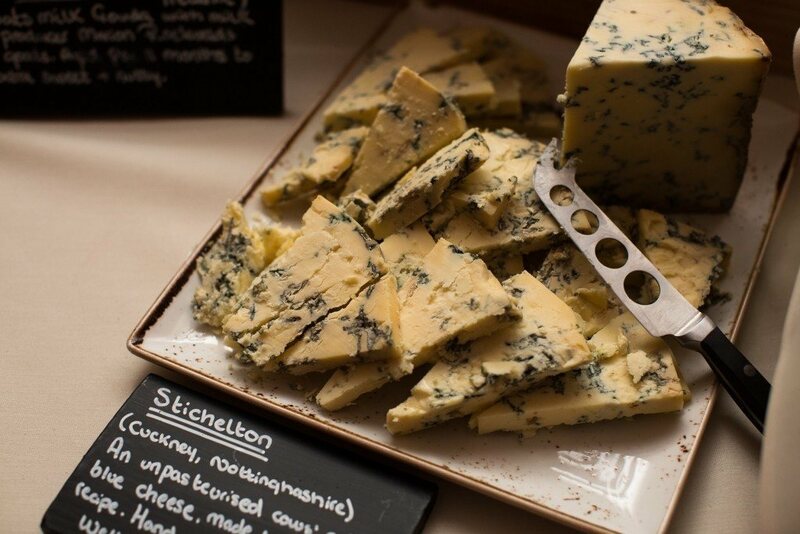 Later in the evening, guests were served wedding cake, and a cheese course, displayed amongst wine boxes, with Kilner jars of quince and wicker baskets filled with crackers. 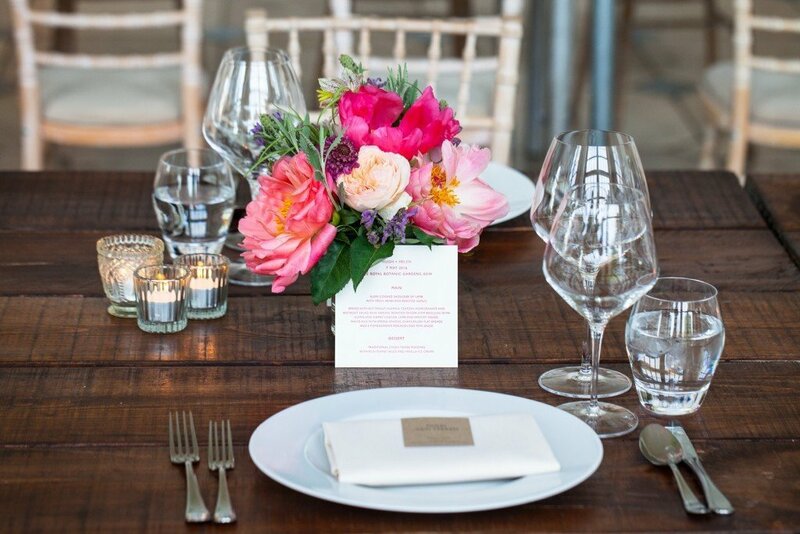 If you’re planning an upcoming wedding and looking for some inspiring wedding catering, please get in touch with our wedding creators.